Seeking the right finishing touch to your wedding outfit, or for your cocktail ensemble? 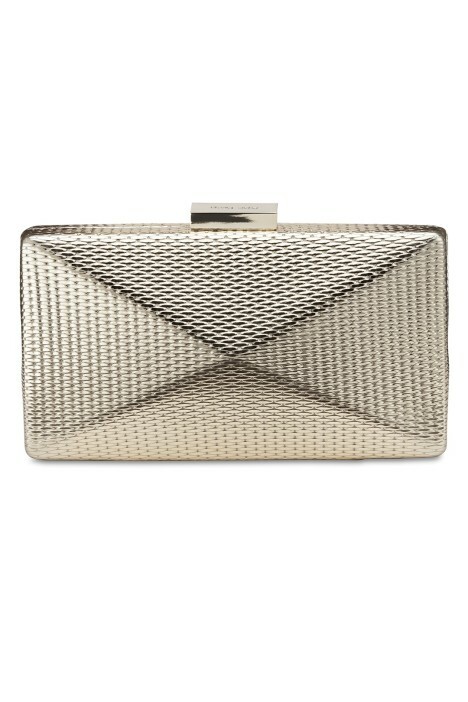 Look no further than this stylishly detailed metallic clutch! Perfect to add a splash of shine in beautiful gold to your little black dress, or to compliment your floral mini dress, this clutch is both eye-catching, and unique! To finish off your look, and add another edge of stylish shine to your look, rent a sparkling silver choker as a statement piece of jewellery! For more style tips and tricks, check out our Fashion Tips for a Winter Beach Wedding blog post!